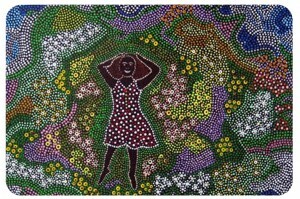 Aunty Daf is one of the Elders who tells her story in ‘Spinning Yarns’. A group of Indigenous elders have recorded their stories for future generations in a new book launched by North Coast TAFE. When Sharon and her colleagues at Aboriginal Learning Circle – North Coast Institute saw the advertisement for Productive Ageing through Community Education (PATCE) funding for senior Australians, they jumped at the chance to apply. The result is ‘Spinning Yarns’, a 20-week project that brought together Aboriginal Elders from across the Bundjalung Nation on the northern coast of New South Wales – including Tweed, Lismore, Casino and Coraki – to share a story of their life, culture, history or family. The final product is a collection of stories and accompanying photographs that have been published as a book. 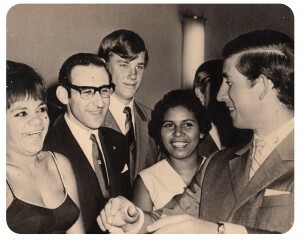 Gwen Williams, pictured next to Prince Charles at the bi-centenary 1970, Sydney. Sharon and other members of the Aboriginal Learning Circle team used their contacts to promote the project and convince Bundjalung Elders to take part. Elders involved attended TAFE in Lismore and Canowindra Aged Care Facility at Tweed Heads. Others were visited at home. Elders’ stories were recorded and transcribed then returned to them for approval and any editing. The book is divided into stories from the Tweed and Northern Rivers areas, and each Elder’s story contains their photo and some contain photos of the area or of relatives and people on communities. Everyone involved in the project is ‘really excited’ about the book, Sharon says. 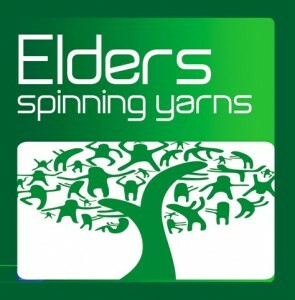 Spinning Yarns was launched at North Coast TAFE as part of Reconciliation Week.